Situated in the "epicenter" of Croatian Capital - Zagreb, between the Main square "Ban Josip Jelačić Square" and famous park "Zrinjevac", on the first floor of the building which has a landmark status, AbCentrum apartments offer functionality and luxury at the same time. We invite you to find out the advantages of choosing exactly our apartment by surfing our website. Also, we guarantee high quality and fair / reasonable prices. Perfect appartment and a really kind householder who helps with everything! Antonija was a great host, and her apartment was amazing. 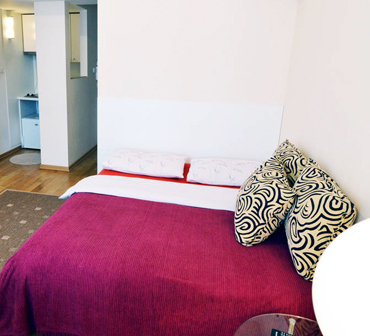 The apartment is located only few steps from the square and the amazing entertainment there. Antonija, made sure I understood where everything was inside the apartment, answered all my questions, and even left snacks/fruit. Btw those, chocolate cookies were delicious! Looking forward to visiting Zagreb again next year and staying at the apartment :). Antonijas apartment is clean, Central and very comfortable. She made the check in process super simple, our flight got in late and she was very accommodating in allowing us to check in so late. She quickly resolved any issue we had and was very quick with her responses. Great value for money, I would definitely stay again. Great apartment. Centraly located and very cosy. Antonija's beautiful apartment was exactly what we needed as an end to our energetic Interrailing trip! Our stay in Zagreb was made so comfortable and enjoyable by her hospitality and the location is perfect for anyone looking for an authentic experience of daily life and nightlife in the city. Thank you again to Antonija and her daughter Barbara! Place was great! 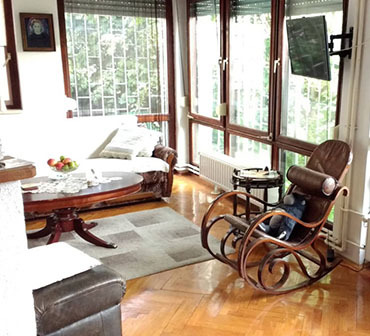 Excellent location literally 1 min walk from main square. Antonija was awesome! She was waiting for us at the department and came to say goodbye on our last day. Highly recommended! Antonija is very welcoming and accommodating with check in and check out. She was very generous to take me out for lunch at a neighborhood restaurant and giving me recommendation for restaurants that serve traditional Croatian food. 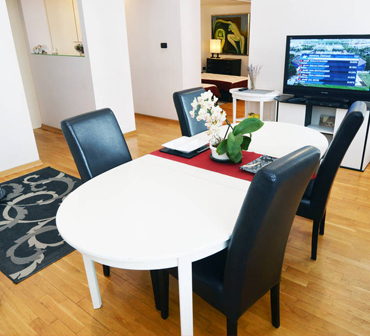 The apartment is right at the center of Zagreb so it is great for sight seeing and people watching, as well as being at a very safe location. Antonija upgraded me to the larger apartment even my reservation was for the smaller studio apartment. The apartment is clean, spacious and well equipped should cooking is important. If I visit Zagreb again, i would like to stay in this apartment again.